Even though the biggest summer 2013 film is just arriving in theaters this weekend (it’s called Pacific Rim), who says it’s too early to think about summer 2014? 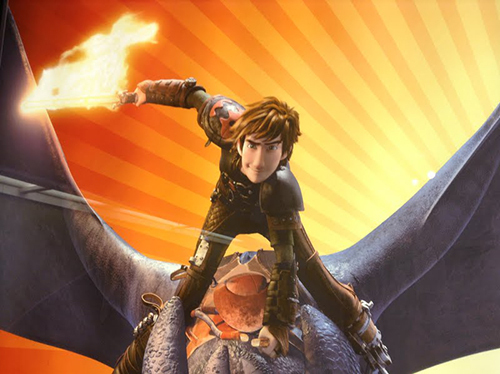 Dreamworks Pictures has released the first teaser trailer for How to Train Your Dragon 2. The film, which features a voice cast lead by Jay Baruchel, is set to open June 20, 2014. Gerard Butler, Craig Ferguson, America Ferrera, Jonah Hill, Christopher Mintz-Plasse, T.J. Miller and Kristen Wiig round out the main cast. Of course, what you’re about to see features almost none of what I just mentioned above. We’re still a year out, and Dreamworks is not about to let the goods out this early on what is sure to be one of their biggest marketing efforts of the coming year (or more, considering it’s a trilogy). Still, fans who have been waiting for news on the sequel will surely find something to adore about seeing their favorite heroes together again. You can view the teaser below.